Three years ago today, in what scientists refer to as the Great Sumatra-Andaman earthquake, the resultant tsunami caused more than 225,000 deaths in eleven countries along the shores of the Indian Ocean. 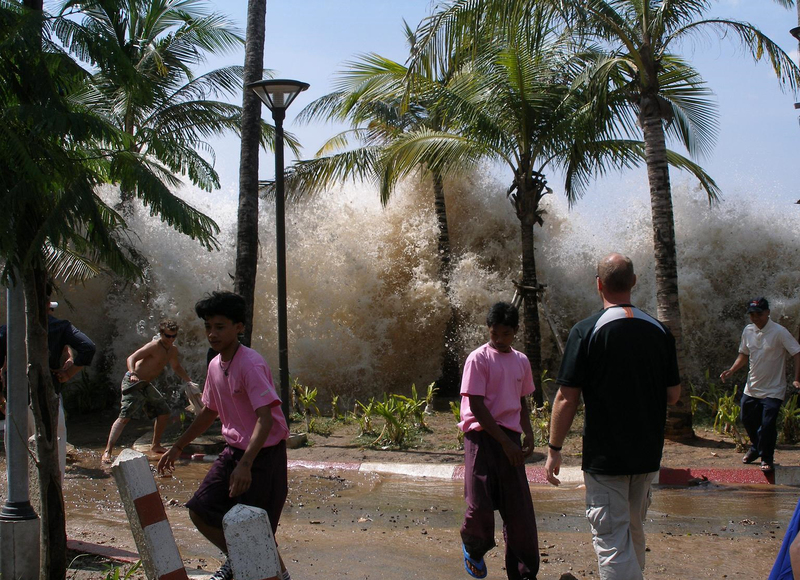 The 2004 tsunami has since been estimated as the ninth worst natural disaster in modern history, which deserves (at least) 225,000 moments of silence and reflection. At least 80 people have been killed or are reported missing after floods triggered landslides in the central Java region of Indonesia. Local officials say they fear the death toll could rise. Thousands have been forced to seek shelter after their homes were buried or washed away. Landslides and floods are regular in Indonesia and many blame deforestation. Also devastating, but receiving less notice was Cyclone Sidr in Bangladesh last November. The reason it received less notice? The Bangladeshi Government acted responsibly and evacuated their citizens. But >3000 people still died and a great part of their coastal region was wiped out in a harbinger of damage that rising sea levels may cause in the future. This was because Cyclone Sidr was supposed to have been just another strong cyclone in cyclone season in a low lying country that had been devastated by cyclones in the past. But it wasn't like those other cyclones. This was a cyclone that sped up as it approached the shore, resulting in a storm surge that emulated a tsunami; which raises the question: What new kind of weather events will climate change bring in the future?